People can tell right and wrong, and justice will have its day. What we’re standing up for is not just the interests of a company, but also a country or a nation’s legitimate right to development — and, by extension, the basic right of all countries who wish to climb up the technology ladder. We hope all parties will follow rules, overcome prejudice, create a level playing field for the businesses of all countries, and provide a safe and reliable environment for the interactions of people of all nationalities. 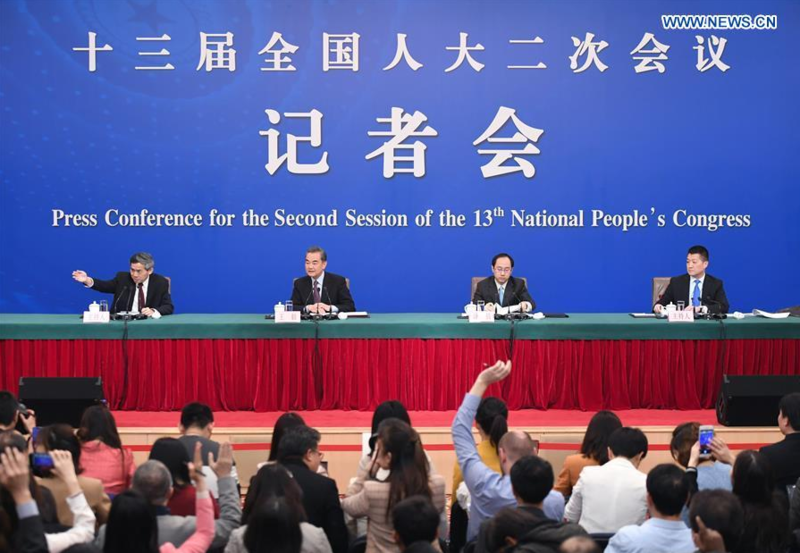 Wang Yi: In the last few years, unilateralism and protectionism has reared its head and returned with a vengeance. The good news is that more and more countries are stepping forward to resist and oppose this disturbing trend. There’s a growing realization that in the age of globalization, all countries share the same destiny — we rise and fall together. Therefore, instead of each going his own way, we should act as a team; instead of each minding his own business, we should help each other as passengers in the same boat. Championing multilateralism is the overwhelming consensus of the international community. China sees multilateralism as a cornerstone of the existing international order. The practice of multilateralism will, over time, make international relations more democratic and our world a more multi-polar one. China will carry the banner of building a community with a shared future for mankind, continue to stand on the right side of history and support the common interests of the majority of countries. China will work with all nations under the principle of multilateralism to resolutely uphold the international system centered on the UN and the international order underpinned by international law. he South China Sea situation concerns regional stability. The interest in COC negotiation is quite understandable. We welcome well-intentioned advice, but do not accept deliberate smears or interference. The countries in the region should grasp in our own hands the key to peace and stability in the South China Sea. The COC should be developed and honored by countries in the region. We must live up to this responsibility.